Los Cabos lies at the tip of the Baja California Sur peninsula also affectionately referred to as Land’s End. It’s here where the desert merges with the sea and its here where legendary golf course architects including the likes of Jack Nicklaus, Robert Trent Jones and Tom Fazio were wise enough to allow the natural landscape to dictate their designs. As a result you’ll find a dozen stunning, top-ranked, championship courses located within a striking distance of less than 25 miles. And, there’s more good news, at least three more are slated to open by 2015. Given the caliber of the golf and the vibrancy of the area, arguably Los Cabos has become Mexico’s premier golf destination – bar none! How can I say this? Well for starters, every time someone asks me which course was my favorite, I find myself telling them you won’t find a bad course here and that I’m struggling to even rank the ones I’ve played, so before I head home let me just share a few highlights in case you’re still pondering where to go to beat the winter blues. The Ocean Course at Cabo del Sol stretches more than a mile along the coast. As one of the first courses in the area, Nicklaus was able to build seven holes right on the water. It’s been ranked #97 of the top 100 courses in the world by Golf Magazine and #88 by Golf Course Architecture magazine. Strong endorsements that make playing a round here an absolute must. 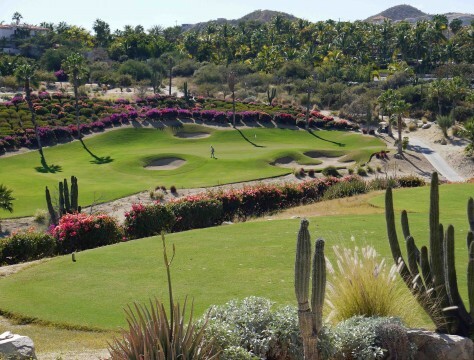 Cabo del Sol’s sister property known simply as The Desert Course is far from dry or arid. This is target golf at its finest featuring sloping fairways, canyon-like arroyos and dramatic bunkering. And by the way, as you make your way around this course that varies in length from 4800 to 7049 yards, know that all 18 holes also serve up unsurpassed views of the ocean. The ‘One & Only’ Palmilla course was built in 1992 and it’s the first signature Jack Nicklaus course built in Latin America. This 27-hole course has 3 nines – the Arroyo, Mountain and Ocean each featuring a different layout. Playing the Palmilla lets you explore over 800 vertical feet of the Baja Desert in a most unique way. Very popular with visitors to the area, Golf Digest ranks the Palmilla as one of the Top 75 Best Golf Resorts in North America. 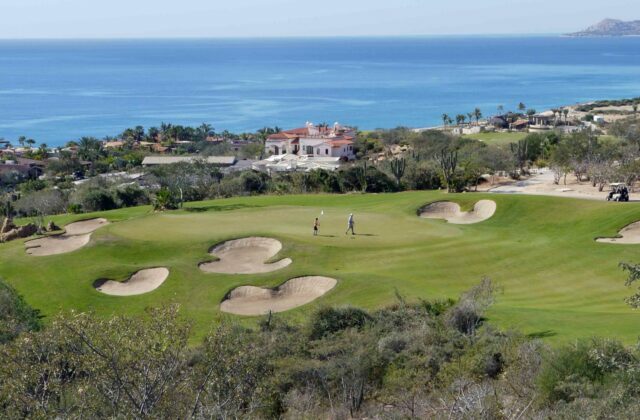 Chileno Bay Golf Course is located midway between San Jose del Cabo and Cabo San Lucas. It’s an 18-hole championship Tom Fazio course featuring breathtaking views of the coastline along the Sea of Cortez. As construction nears completion the Chileno Bay course has opened for play though access is a bit tricky. Take the ramp off the highway and then stop at the entrance guard gate for directions to the Pro Shop. You might find getting there a bit of a challenge but it’s worth the effort to experience this newest addition to area. 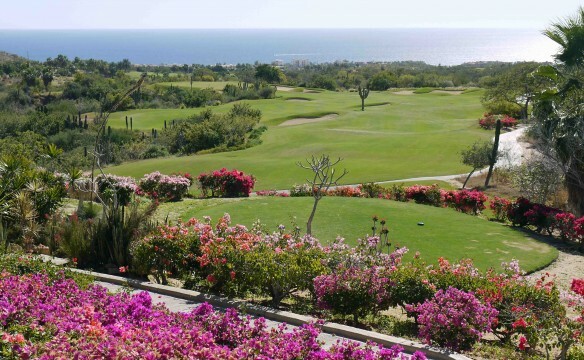 Puerto Los Cabos is unique in that it features two distinctive nine-hole layouts by two iconic golfers. The Marina is a Jack Nicklaus course while The Mission Course was designed by Greg Norman. Future development will see each expanded to a full 18 but for now you can challenge both the Bear and the Shark in a single round. 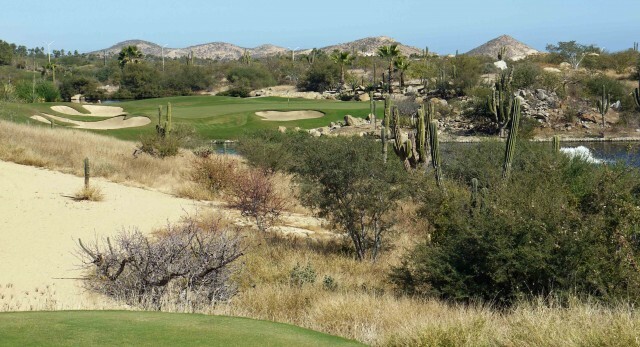 Cabo Real is a semi-private course designed by Robert Trent Jones II in 1994. In its time it has hosted a number of tournaments including 2 PGA Senior Slams. With the renovations that were completed on back nine in 2012 and according to my scorecard personally I’d considered these to possibly be the toughest nine holes in Los Cabos. It was the last course I played and despite more than a double bogey or two, it was definitely an experience not to be missed. I was also fortunate to tour Quivira slated to open in May 2014. With some of the holes perched on the top of the mountain and others in the valley or along the beach from what I could see this course will feature the most dramatic elevation changes on the southern tip of the Baja peninsula. It will pose a challenge for even a seasoned golfer when the wind kicks up! Sadly it’s time to pack the clubs and head north again but I’ll definitely be back. In the meantime, stay tuned for more articles on where to stay and play and what else to do in this paradise known as Los Cabos. Adios for now!